Product Description Dramatic Beauty. Imagine the grandeur and charm of yesteryear's villas, with heirloom furnishings at the forefront, and you begin to get the flavor of the Monticello Pecan chest. Prominent decorative carvings exemplify the old-world styling, and antiqued drawer pulls offer elegant appeal. 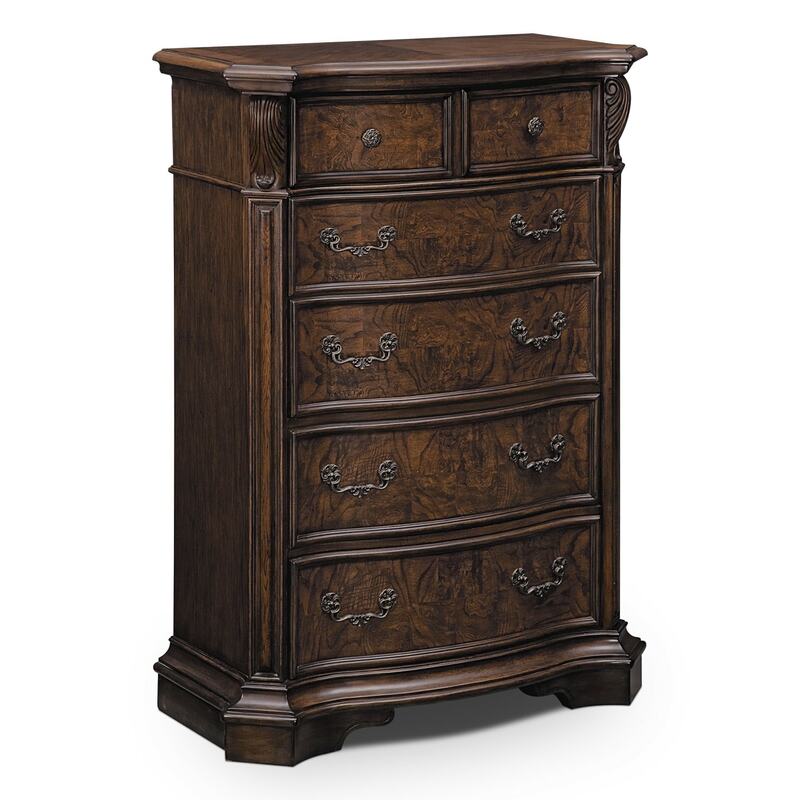 The pecan finish showcases artfully placed burl veneers that bring undeniable richness to your bedroom. Unique Features: Dust-proofed drawers indicate quality construction, protect clothes and reduce allergens.